If you want to make some extra money by taking online paid surveys, the country you live in plays a big part of the opportunities. If you live in the United Kingdom, you are lucky. The UK is one of the countries that gives access to the most paid survey sites. But that does not mean all the opportunities are good, and some are mostly a waste of time. So to make it easy for you, I have below made a list of the best surveys sites in the UK for 2019, so you know which sites for sure are worth signing up for. If you do not live in the UK, you can instead check out the list of the best sites in other countries. How are the opportunities for online surveys in the UK? There are A LOT of online survey sites in the UK. In fact, it is one of the countries with the best opportunities in this area. So if you want to earn some extra cash this way, you are lucky if you live in the UK. In addition to offering many paid surveys, many of the sites I will show you on the list below also offer other earning methods. This can, for example, be to watch videos, play games, take offers, do micro-tasks, get cash back when shopping online, and more. Again, the UK is one of the countries that give the most of these opportunities. It can, therefore, be a great idea to also be aware of these other earning methods, as it can really boost your earnings. The list below will give you an overview of what earning methods each site offers. Why a Top 29 list? The list below is not an exhaustive list of all the paid survey sites that are available in the UK. There are many more available. However, there are many sites that are not worth signing up for, as they do not have good opportunities, and you can end up wasting your time. Therefore, I have made a list based on quality and limited it to the best survey panels – these are the sites I have found to be absolutely the best paid online survey opportunities in the UK. It will be impossible for you to sign up for all the paid survey sites that exist in the UK, and many of them are also not worth it. But it is a good idea to sign up for several sites to get more earning opportunities and to see which ones fit you the best, and the list below will make it easy for you to get started with the best ones and not waste your time. So if you have not done paid surveys before, I would suggest to sign up for 5-8 sites to get started. If you really want to get as many opportunities as possible, you can also sign up for all of them, but it might then be a bit overwhelming and difficult to get to know all the opportunities in details and get the most out of the sites. Once you are familiar with the sites you initially join and know how to use them to their full potential, then you can start joining more. So bookmark this site so you can come back and find this list again – it will also continuously be updated, so there will regularly be added new sites, as I keep testing new opportunities for making money on online surveys in the UK. If you are already a member of surveys sites, just check the list, and see if there are some good options you are not aware of and not a member of yet. 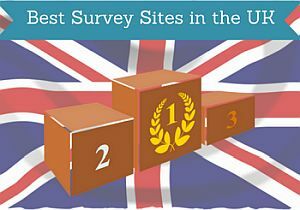 Below you can get an overview of the best online survey sites in the UK. You can see what payout methods they offer, what the payout threshold is, and read a short summary of what each site offer. Be aware that even though you live in the UK, the earnings on some of the sites will be in dollars. That is why some of the payout thresholds are mentioned in dollars. However, once you request a payout, you will, of course, get the money in pounds if you choose to get your earnings in cash. So let’s get started with the list. If you have heard about online rewards portals or paid surveys before, there is a great chance you will have heard of Swagbucks. And for good reasons. It is one of the biggest of these kinds of sites and offer great opportunities for people living in the UK. You will earn rewards in SB (Swagbucks) and these can be exchanged into cash to your PayPal account or you can choose between many gift cards. Further than a good amount of daily surveys, Swagbucks also offers you to earn rewards for activities that we are often doing online anyways. You can get some great cash back offers when doing online shopping, earn by watching online videos, by surfing the web and by playing games. It also often offers free contests and promo codes, where you can get free points. Swagbucks is a must to sign up for, if you live in the UK. It has some great opportunities and offers, that can make you some nice extra money. If you join through certain invitations links (like the one below), Swagbucks will also give you £3 joining bonus, which is a great start and the highest joining bonus I have seen for a survey site. PrizeRebel has over 7 million users and is a very popular survey site. It especially has a good amount of opportunities for English-speaking countries, including the UK. You will earn points every time you do an activity, and these points can then be exchanged into cash for your PayPal account, gift cards (and there is a good a big selection), or Bitcoins. You will mostly have many daily opportunities to do paid surveys, but also offers that will give cash back or rewards for different activities or interaction with an advertiser’s site, do tasks through Crowdflower, earn rewards by playing games, or participate in one of the numerous free contests. PrizeRebel also several times a week offer promo codes on their social media channels that will give you free points. When you live in the UK and want to make a bit of extra money online, PrizeRebel is definitely one of the pages you should check out. Toluna is one of the survey sites that I have tested that is available in the most countries, including the UK. You will earn points for answering surveys, and you can exchange these into cash through PayPal, gift cards or products. Toluna gives quite a lot of survey opportunities in the UK. Not as many as some other sites, but a very good amount and usually at least a couple a day. More than surveys, Toluna is also a community, where you can interact with other members. By doing this, you have the chance to win extra points by creating content that other members interact with. Toluna also often offers great free contests through its blog and social media channels. PineCone is an exclusive survey panel, as you can only join if you get an invitation. Luckily, I regularly have invitations for PineCone Research in the UK here on this website. But only if you are aged 18-34. By clicking the link below, you will be able to join from the UK. If it does not work at the time you try to join, it is because Pinecone only accepts limited members each month. Then come back in the beginning of next month and try again. What is great about PineCone is that it is one of the highest paying survey sites in the UK, as you get a minimum of $3 per survey. The payout threshold is also $3 so you can get paid immediately through PayPal, check, gift cards, or products. YouGov is a great and easy to use online survey panel for the UK. It has some features that you cannot find on other survey sites. You can actually get to see the results of the different research the panel is conducting and you are participating in, which is pretty cool. They have a section on the website, with the results of the UK surveys they have conducted. You can also see how the results have been used by the media, so you get a sense of how your opinion is actually being heard. You earn points every time you take a survey, and in my experience, you qualify for a very high percentage of the surveys compared to other sites. The points can then be exchanged into cash or gift cards. You will get 100 points as a joining bonus. YouGov has a good amount of surveys in the UK and is very easy to use, so definitely a site worth considering to join. ClixSense is a survey site I have had a lot of success with myself. The only reason it is not higher on the list is that there are so many great survey sites in the UK, and some of them are a bit more user-friendly than ClixSense. But ClixSense is still easy to use, and it has many daily opportunities for surveys that pay fairly well in relation to the time spent compared to other survey sites. In addition to surveys, you can also earn money by doing small tasks through Figure Eight (previously Crowdflower), by taking online offers on the offer wall, by inviting friends, and you can earn a nice extra bonus by having a certain daily activity. You will get paid in dollars in your ClixSense account even though you are a member from the UK, but that will not give you any problems when paying out. The only disadvantage of it is, that you cannot get paid through PayPal on ClixSense, but luckily it offers many other good ways to get paid. Superpay.me allows users from anywhere in the world to sign up. It is however very different how many opportunities there are in different countries. The UK is one of the countries where Superpay.me offers a decent amount of surveys and other opportunities to earn like clicking ads, taking offers, and watching videos. By logging in, you will see a list of the available surveys. Usually, you will have access to several a day. You will earn cash that you can get paid out through PayPal, Skrill, Bitcoin, or Amazon gift card. The greatest thing about this site is that you can request a payout already when you have made $1 (your account will be in dollar even though you live in the UK), and this is a very low and great payout threshold compared to many other survey sites, and you can therefore very quickly get paid. You will receive the money into your PayPal (if that is what you use) within 24 hours, and very often even within a few hours. The reason that Superpay.me is not higher on the list is that it is as user-friendly as the other sites on the list. It can take a bit of time to figure out how to use it, and it can be a bit confusing. So if you have never taken paid surveys before, you should probably start with some of the other sites instead. However, once you figure out how to use the potential of the site, Superpay.me has very good earning possibilities. Nielsen Computer & Mobile Panel has a specific panel just for the UK. It is different from most other sites on this list, as you actually do not have to do anything to earn rewards and participate in research once you have signed up. The panel gathers data about internet usage and uses this data to improve online services and products, so it is a great way to help improve the internet. You just have to install an app/software, and you will then help gather this data just by using the internet as you always do. You will be anonymous, the software is completely safe, and you can participate on several devices if you want to. In the UK there are monthly, quarterly, and yearly rewards for a total of £30,000. It gives you access to a very good amount of paid online surveys in the UK and once you have filled out an initial survey profiler, you right away get access to the surveys. As on all most other survey sites, you will not qualify for all surveys, but it has many you will also qualify for. What is different about Surveytime compared to many other sites is that you get paid instantly through PayPal as soon as you have completed a survey. And all surveys pay $1 no matter the length of it. FeaturePoints is available to most countries, but the UK is one of the countries it has the most earning opportunities. And it is easy to use, so it can be worth checking out. You can earn by taking surveys, watching videos, get cash back while shopping online, and by downloading apps. Some of the options or only available through the app. If you join through the link below, you will also automatically get a FeaturePoints referral code for the UK and get 50 free points when you join. You can get your money out already when you have earned $1. PaidViewpoint is a bit different from many other survey sites. It does not offer other opportunities than surveys, but it does this very well. You will earn cash into your account that you can then pay out through PayPal. The site is very simple and easy to use. It does not offer a huge amount of surveys compared to some other survey sites, and that is why it is not higher on the list. It does, however, offer something no other survey site does. Once you are offered a survey, you know for sure that you will be able to finish it and get paid. You will never be disqualified for a survey that you are offered. Further, the surveys you get a very short and easy to answer compared to many other surveys. The UK is one of the countries where PaidViewpoint offers the most surveys, and it is very easy to use, fast and user-friendly, so it is definitely worth signing up for. But make sure to sign up for other sites as well, as PaidViewpoint alone will not give you enough earning opportunities. PointClub is purely a survey site, and this is the only way you can earn here. It does, however, offer a decent amount of surveys in the UK and pays well in relation to the time spent. You can earn extra by logging in every day, and it is possible to increase your bonus up to 100%, which means that surveys you will get will pay very well. You will get a $5 joining bonus which gives a great start, and you can get paid in cash through PayPal or get gift cards. In the UK the best option is, however, PayPal as many of the gift cards or not for the UK. Opinion Outpost has a survey panel exclusively with online surveys for the UK. It is very easy to use. Once you have signed up, you will just have to wait to receive email invitations for available surveys. As an active member, you will also automatically participate in the quarterly prize draw, where you can win up to £5.000. So if you are lucky, it can give you some really good earnings. The payout threshold for Opinion Outpost is low, and you can get paid already when you have earned £2.50 which should not take you long to reach. SurveyRewardz is a very simple survey site, which also makes is easy to use. The only way you earn is by taking surveys, by there are a decent amount available in the UK. Once you are logged in you will see the available surveys. If you do not qualify for a survey, SurveyRewardz will try to match you with other available surveys. It means that there is a good chance to get surveys, but it can also take a bit of time to find the ones you are able to complete. The rewards are however pretty good in relation to the time you spend. Your account will be in dollars even though you live in the UK. A great thing about SurveyRewardz is the low payout threshold. If you choose to get paid through PayPal, you can get paid already when you have earned $1. Many of the other rewards have a payout threshold of $5. Mobrog is an easy-to-use survey site which a specific UK survey website. Once you have signed up, you just have to wait to get the survey invitations via email. Just be aware that it can take some patience to qualify for surveys on Mobrog, as there might be many you do not qualify for. But with a little patience, it is a legit way to make some extra cash. You should, however, make sure also to join other sites to get enough opportunities to earn. GrabPoints offers quite a lot of earning opportunities, and it is one if the better get paid to sites in the UK. This means you can earn in several ways. You can earn by taking surveys, watch videos, download apps, take offers, and more. Just be aware that it sometimes can take a bit of patience to find the UK surveys you qualify for. You can get paid through PayPal already when you have earned $3. The payout threshold does, however, vary depending on your chosen reward. If you join through the invitation link/button below, you will get 500 points for free right away. Vindale Research is, first of all, a survey site, but it also offers other earning opportunities in the UK like watching videos and inviting friends to join. At times it offers really high paying UK surveys. When you get an invitation for these, you have to be fast, as they will fill up quickly. On Vindale you just have to be aware that the payout threshold is quite high as you have to earn $50 to get paid. This can take a while if you do not get the high paying surveys. Survey Junkie is only available in a few countries and one of these countries is the UK. It, first of all, offers paid online surveys, but at times you can also get access to some high paying focus group interviews, product testing, or phone interviews. In the UK, the only way you can get paid on Survey Junkie is through PayPal. You can get paid when you have earned $10. InboxPounds is mostly a site for the UK as the name suggest, even though other countries can join as well. You can earn by taking surveys, taking offers, surfing the internet, and read emails. Some of the earning methods like surfing the internet or reading emails does not pay a lo, and is not really worth it in my opinion. But the surveys can give some nice extra money. The platform has quite a lot of advertising, and the emails you get paid to read is also just ads, and it does not offer many payout methods, but if you can live with this, it is a platform where you can definitely earn some extra money on the side. Green Panthera is available in 30 countries, and the UK is one of them. It gives several daily paid survey opportunities, and you can also earn by taking online offers like for example downloading apps and playing games. You just have to be aware that it can take a bit of patience to be a member of Green Panthera, as you will most likely not qualify for a lot of the survey invitations you receive. But luckily it does not take long to click the links in the email invitations you receive to check. If you can accept this, Green Panthera has a good amount of surveys. You will get paid in dollars even though you live in the UK, but once you cash out to PayPal, you will, of course, get the money in the currency you have chosen for your PayPal account. InstaGC has a lot of ways to earn, and it has good options in the UK. You can earn by taking surveys of course, but also by surfing the internet, watching videos, betting on sports results, visiting website, signing up for free trials, doing Figure Eight tasks, and it has a great weekly bonus, where you will get a percentages of your earnings from the past week. One of the best things about InstaGC is the very low payout threshold. You can request a payout through PayPal as soon as you have earned $1 (your account will be in dollar even though you join from the UK). That is a very low payout threshold and means that you can very quickly get paid. You can also choose to get paid in gift cards or bitcoins instead. Viewfruit is a survey panel that is fairly easy to use, and it has its own sites for the UK. Here you will find a good amount of available surveys, and you will mostly receive an email when there is a new survey available. It can however still be a good idea to login to the site to check. On the site, you can also participate in polls, create your own polls, invite friends to join your survey team and earn a bit extra this way, and you can chat with other members. It has a low payout threshold as you can get paid already when you have earned $5, and you can get paid in cash through PayPal. Online Panel NET is a get-paid-to site that is also available in the UK, and it gives quite a lot of earning opportunities. You can earn by taking surveys, do micro-tasks, takes deals, sign-up for trials, and download apps. Not all of the options are great, but if you just make sure to choose wisely, it can give some extra money. The only way you can get paid is through PayPal and you can get paid when you have earned $10. You just have to be aware that the payout will take at least 30 days from you have earned the rewards. OhMyDosh is actually not so much a survey site. It is more of a cashback site for the UK. It is, however, still on this list as is does have a few survey opportunities and for the UK it is one of the best cashback sites. It is possible to find some great deals on the site, and it will not take long to reach the payout threshold of £10. When you take offers, you just need to make sure to read the terms and conditions so you know exactly what to expect. Panel Station is actually not so much a survey site as an app. So if you want to use it in the UK, it will give you the most opportunities if you download the app after you register. It has a specific survey website just for the UK you can register through. You can expect somewhere between 1-3 surveys per week, so it is a good idea to also join other survey sites to get more chances. You can get paid already when you have earned $5 which is a nice low payout threshold, and you can get paid through PayPal or get gift cards. MySurvey is an international site, but it also has a specific platform just for the UK called MySurvey UK. The main way to earn is by taking surveys. There is a decent amount of surveys, but at times it can take a bit of patience to find the surveys you qualify for. Other than that it is easy to sign up for and use. In addition to taking online surveys, you can occasionally participate in product testing, you can earn a bit by inviting friends to join the platform, and there are sometimes sweepstakes where you get the chance to win an extra reward (usually pretty high rewards). It is not the survey site with the most online surveys for the UK, but it can still have a decent amount and can be worth joining. CashCrate offers a good amount of surveys and is in the offers similar to ClixSense and PrizeRebel. You earn cash in your account that you can get out through PayPal or check. Be aware that the first time you request a payout, you do however have to receive it by check. After that, you can start requesting through PayPal. CashCrate has a lot of surveys and also other offers you can do through partner sites. You can participate in monthly contests, and it always offers 10% extra in rewards on holidays, which is great. For the UK, it is not the best site, as it can take some patience to find the available surveys and the good offers, but there will be some if you are patient. If you only want to choose a few survey sites to sign up for, CashCrate is not among the best choices in the UK. But if you want to give as many sites as possible a chance, it is still a good site, that can offer decent opportunities if you are patient. Important! CashCrate is closing during 2019 so it does not make sense to join it anymore. If you are already a member, make sure to cash out asap. Triaba is one of the most simple survey sites to use. You just sign up and then take the surveys, when you get an email invitation. It has a specific site for the UK, but it does not offer very many surveys. But as it is easy to sign up for and does not spam you, it can still be worth considering as an extra site. Triaba has some good reward options for the UK, as you can get paid through PayPal, Amazon gift card, or GCodes virtual gift codes. You can withdraw your money to PayPal when you have earned £4. If you prefer one of the two other payout methods, the payout threshold is £10. Cinchbucks has several ways to earn and offers decent opportunities in the UK. It is still not higher on the list as it is not as user-friendly as many other sites. But with a bit of patience, it gives you the opportunity to earn by taking surveys, watch videos, take paid offers, and more. You can get paid when you have earned $10, and you can choose to get paid through PayPal, Bitcoin, or gift cards. There you have it – a list of the best UK survey sites. To increase your chances of earning it is a good idea to sign up for several sites, as they all offer different surveys and opportunities. Just be aware that doing paid surveys is a great way to make some extra cash, but it will not make you rich. I always make sure to mention this, as too high expectations will lead to disappointment and not being successful with paid surveys. But if you do it with the right expectations, it is a great way to make some extra money and at the same time have your opinion heard. Also, the list above is regularly updated, so make sure to bookmark the page and come back and check for new opportunities regularly. If you have any experiences with survey sites in the UK yourself, if you think a site is missing on the list, or have any questions, I would love to hear from you in a comment below. Thanks for the feedback Mo. I have been reading with great interest your list of top survey sites having been on the verge of committing myself elsewhere. I had never considered doing this kind of work but it now is of great interest. You are welcome Tim. Glad you found the info useful and thanks for the feedback. what do you think of the pch.com ..publisher clearinghouse. I have not yet tested that site. I will make a note of it, and test it as soon as I can. Do you have any positive or negative experiences with it? Im not really sure yet…how bout Mindfield, is that good site – and Triaba? Triaba is definitely a legit site. I have been paid by it several times myself. It is very easy to use, but it does not give a huge amount of surveys. So it can take some patience to get enough surveys to reach the payout threshold. But as an extra site, it can be great to join. Mindfield is another site that is still on my list of survey sites I need to check out and test, so cannot say much about it yet. okay great thank you. i look forward to hearing from you again. So far not bad, I been sifting through the ones for me. Made about 175 dollar the past month, but do put a lot of time in. Only had few issues and one is a site that did’nt pay me the 10 for an audio survey and they dont reply back to me. Good to hear you have found some sites that works well for you Darlene. A shame to hear about the one that did not pay you and is not getting back to you. Would you mind sharing which site this is? It is always good to hear about the bad experiences as well, so I can take that into consideration when doing reviews and advising people. However, be aware that on some sites it takes some time before the payment is approved – especially the higher paying ones, as the client paying for them first have to approve. So hopefully this is the case and you will get your money soon. Thanks for the comment. You have a great site so it deserves to be there. I have just discovered your blog today, and I’m very glad I did. I will be keeping an eye on your blogs from now! I noticed there are a couple of sites there that pay you in bitcoin. In general, do you think its worth getting paid in bitcoin or other crypto currencies, or is it better to stick with £s? If you do think it is worth getting paid in crypto, would you be able to do a similar blog to the one above reviewing survey sites that pay in bitcoin or other crypto currencies? The ones I know about are bonusBitcoin and BitFun, and now the 2 you mentioned in the top ten list. I want to start using survey sites, but I’m struggling to decide whether I want to get paid in traditional money or crypto currency – any advice would be great. Thank you for the feedback about my articles. Glad to hear you like them. What the best way to get paid for surveys really depends on your own personal preferences. Personally, I prefer sites that pay in cash, but if you are more into Bitcoin, you should just go for the sites that have this option. There are however still not so many survey sites that offer Bitcoins as a payment method, so it will be easier for you to find good survey sites that pay in cash. I have already made an article about survey sites that pay in Bitcoin. You can check that out, if you want to see what sites offer this option. Pureprofile is a good site and so is Prolific which is hosted by university research tutors and students. Also Valued Opinions and ipoll. Thanks for sharing your experiences and for the tips Jane. Appreciate it. Will take that into consideration next time I update the list. Thanks for the list of the best survey sites. It save me going through each one and testing them. I found it interesting that Toluna made the list, I personally just never qualified for any of their surveys and got pretty frustrated. Am I missing the trick with it? I do like Swagbucks and will be trying the others. Its a fun way to make a bit of spare cash. Interesting to hear about your experience with Toluna. I mostly qualify for surveys on Toulna, and the list is based on my expriences. But there is no trick as such – it is just different sometimes depending on your demographic profile etc, how often you qualify. So it just sounds like it is not a good site for you, but luckily there are then many others. And great to hear you like SwagBucks – I am sure there are many of the others on the list you will also like then. Thanks for the information, Mikael! I have tried a couple of survey sites in the past, but did not find it worth the time. The sites you listed here look more promising than the ones I have tried so I will have a look at some of your suggestions. I may look into ClixSense as I would be interested in the PTC function to get targeted traffic. Thanks for your comment Nathan. Yes the sites on this list are all good survey sites. Be aware that ClixSense has just announced a lot of changes that will take effect here in a couple of days. That includes that they will no longer have PTC as an option on their site. In my opinion the changes are only making ClixSense better, so still a site worth joining, but you can no longer use it to advertise your website through PTC. Have been on the fence about trying out paid surveys online but this is great content and thorough research! Was not aware of all the options out there. Simple getting started steps procedure is ideal for beginners making it really easy to follow. Will be checking back to these resources. Thank You! Thanks for your feedback Pete. Glad you find the information useful. Wishing you all the best, and let me know if you get any questions about any of the survey sites. Hi Mikael, thanks for sharing about the different sites to do surveys in the UK. Personally I did try out Clixsense and Global Survey before. For Clixsense, I take part at both the ads clicking and the survey. The quantity of survey offered in Clixsense is quite limited compared to Global Survey. But it doesn’t have the quota limit like Global Survey. For Global Survey, once the quota is reached, then you can’t take part in the surveys anymore. May I know what is the estimate time to be spent on survey daily in order to generate approx $100 income per day? As for ClixSense the amount of surveys offered depends a lot on the country you live in. Some countries will have a lot available. $100 per day is very unlikely by doing surveys unfortunately. The sites that promise you this kind of money, are usually scam sites. 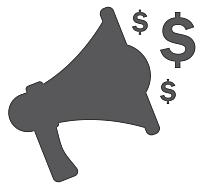 $100 per day would mean that you would be able to make a living on doing paid surveys, and that is not possible. You can make some really nice extra money, but if you do it with the expectation of making a living from it, you will be dissapointed. I’m happy to find a list of reliable survey sites to make extra money in the UK. I’ve been trying a few and most of them are scams. They promise big income but after a few days of hard work, when you are close to reaching the minimum payout threshold you didn’t get any other survey. Others are just a waste of time, long surveys with payment fees that make your hourly rate very low. And finally, some platforms have a really high payout threshold that is almost impossible to reach. Sorry to hear about your bad experiences with paid surveys Carlos. In general the sites that promise huge incomes are the scam sites, and these are also often the sites that will try to charge you a fee to join. Those I stay away from, and try to warn others against them. You should in general not do surveys, if you are looking to gain a high hourly pay That is not the point of paid surveys. It should be done if you are interested in making some nice money on the side while being able to have your opinion heard on important topics at the same time. But if you join the survey sites on this list, you will see that many of them have a low payout threshold that is easy to reach, and are worth the time – unless you are trying to make a living from it. Then you will be dissapointed. I had heard of these paid survey sites before and they sounded like a myth to me. Someone will pay me to answer some questions? I’ve been onto some other sites and now your one and I can see now that it is a legit way of earning some extra cash in the evenings and I’ll definitely be looking into it myself. Thanks for your comment Jamie. Glad you find the info useful. Yes you can get paid for answering questions. Companies need to get feedback and opinions about their services and products to improve and to keep up to date, and this info is very valuable to them and therefore they are also willing to pay for it. So paid surveys are definitely a legit way to make a bit of extra cash, as long as you join the legit sites. Unfortunately there are also scam sites, but all the sites on the above list are legit and safe to join. Thanks for this information. I live in the Uk and could do with some extra passive income from paid surveys!! However, I have heard that for the time it takes to complete a survey, it’s not worth the amount of money you will receive. Is this true? How long does it take to complete a simple survey? Also, can you pick and choose the surveys you want to take part in or are you given specific surveys to complete? Wheter it is worth the time to do surveys or not, really depends on your expectations. You should not do it if you want a high hourly rate or expect to be able to make a living from it. It should be done if you would like some extra money on the side while at them same time having your opinion heard. And if you find the right sides, it can also be wuite fun to participate, and a good chance to give your opinion about certain topics. A survey can take anything from 2 minutes to 40 minutes, and the reward will also be higher the longer it takes. But most surveys take somewhere around 10-15 minutes, and in time when you get used to how it works, it can be done faster than the estimated time. You will always be able to decide for yourself whether you want to do a specific survey or not. Before starting, you can see the estimated time and the reward, and often also the topic, and then you just participate in the ones you wish. Hope this answers your questions, and let me know if you have more questions.